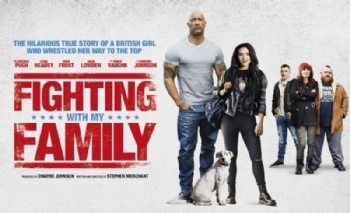 Born into a wrestling-mad family, Paige and Zak haven’t had a usual upbringing. They tour small venues performing with their mum Julia and dad Ricky – but they’re desperate to take things to the next level. Their lives change when the pair get a call from Hutch Morgan, an exec from WWE, who offers them the opportunity to audition and show the world what they’re made of. The Management of The Cinema reserves the right to change the programme at short notice. If in any doubt as to which film will be playing and you are travelling a long distance to see a particular film please check with the box office first on 01671 403333.